Dr. Donald I. Abrams is a specialist in cancer and integrative medicine at the UCSF Osher Center for Integrative Medicine at Mount Zion. He is also the Chief of Hematology and Oncology at San Francisco General Hospital. Through his work with the Osher Center, Abrams consults with cancer patients on integrative medicine options. He has also conducted research on alternative and complementary treatments, including botanical therapies and the medical use of cannabis. 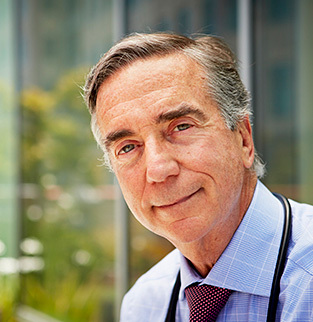 He is an executive committee member of the UCSF Helen Diller Family Comprehensive Cancer Center. Accordingly, he is co-chair of of the center’s Symptom Management, Palliative Care and Survivorship program.